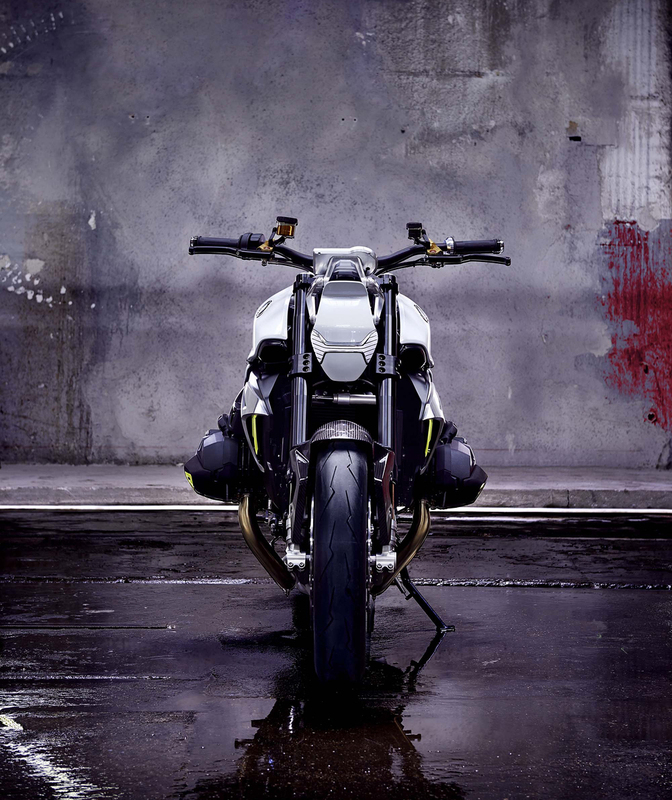 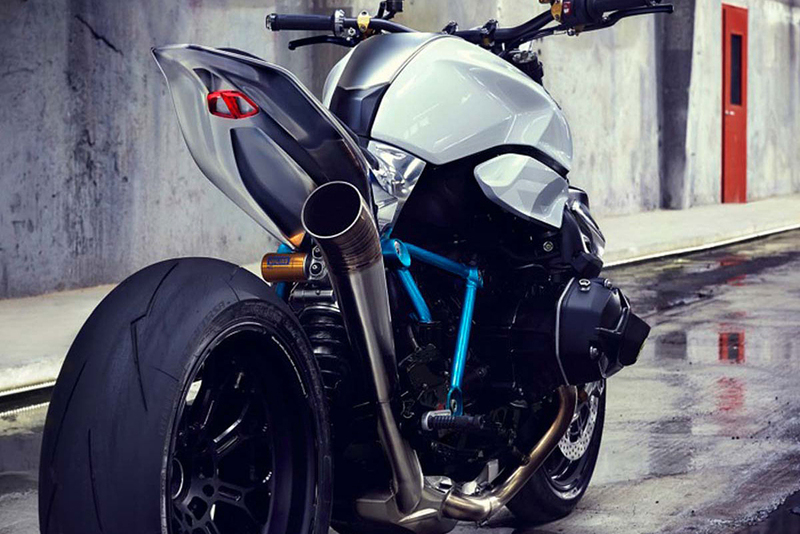 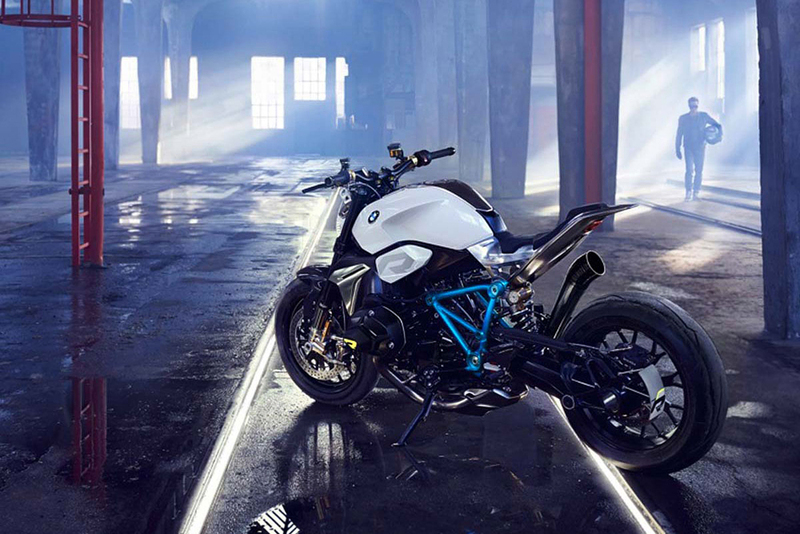 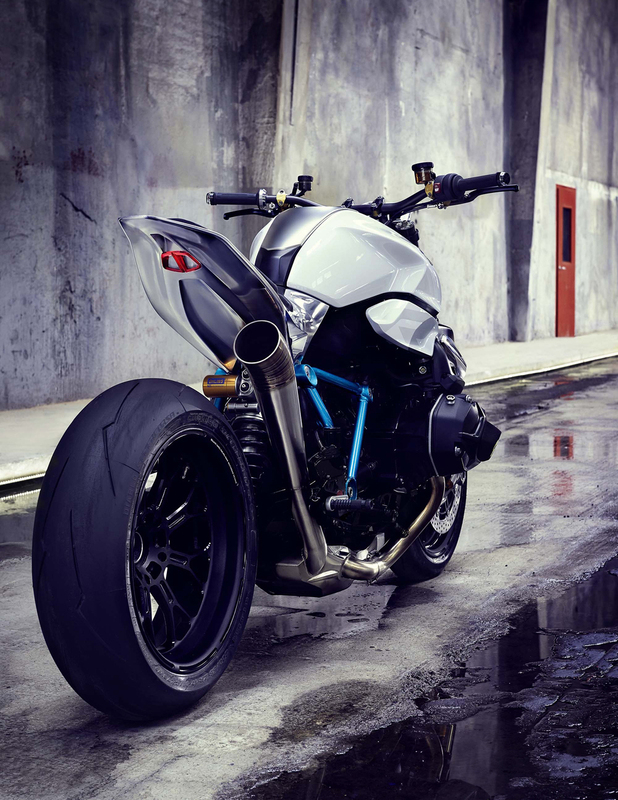 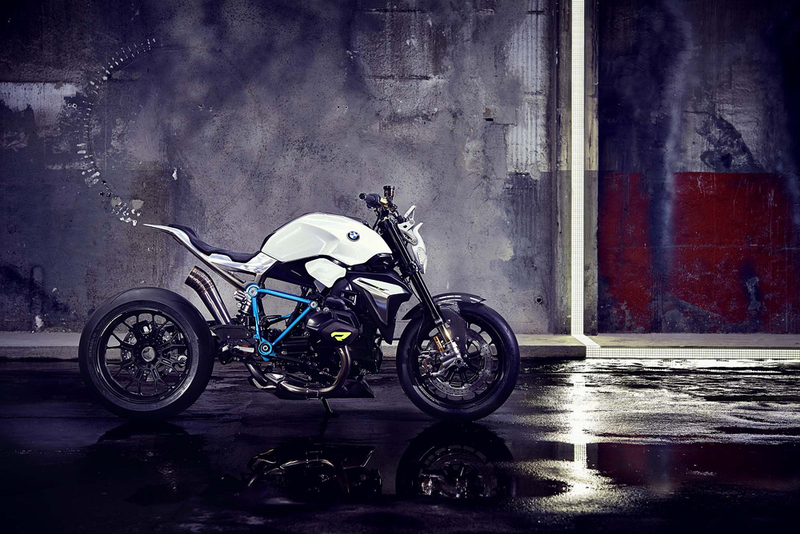 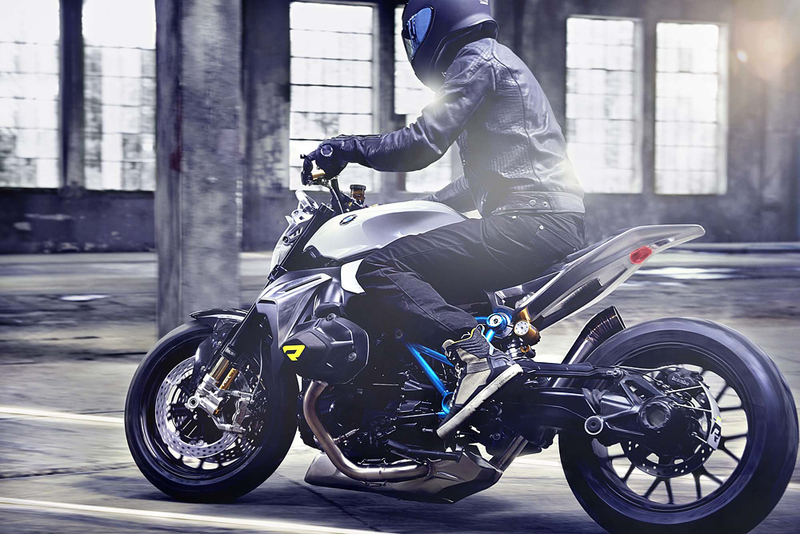 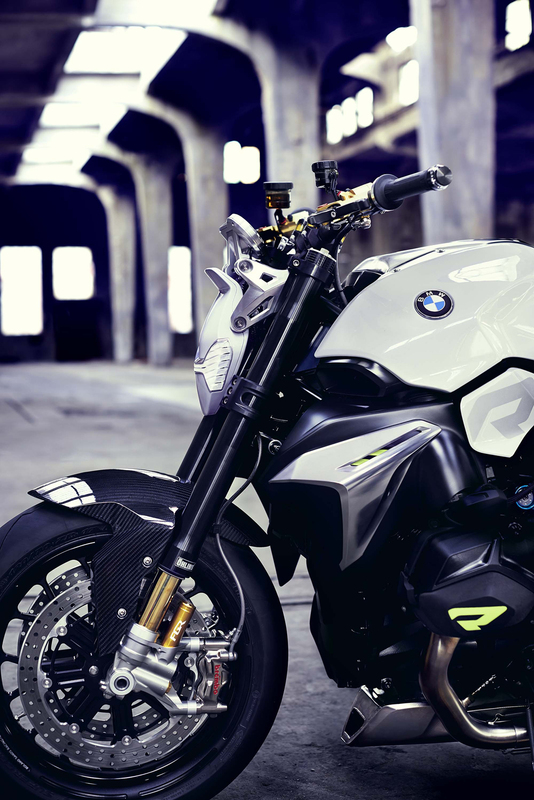 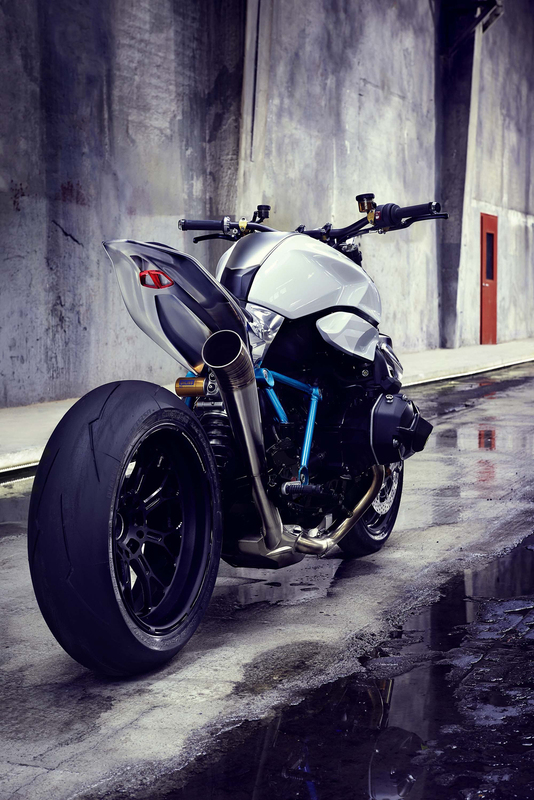 BMW‘s Concept Roadster, a stripped down and thoroughly modern take on the classic BMW motorcycle, is set to debut on the shores of Italy’s Lake Como at this year’s Concorso d’Eleganza Villa d’Este. 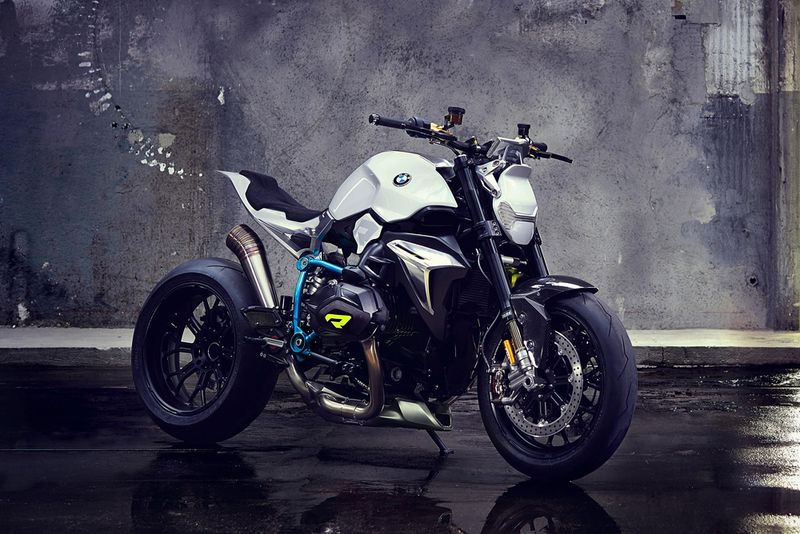 The Concept Roadster is powered by BMW’s classic two-cylinder boxer engine, displacing 1,170 cubic centimeters and good for 123 horsepower and 92 lb-ft of torque. 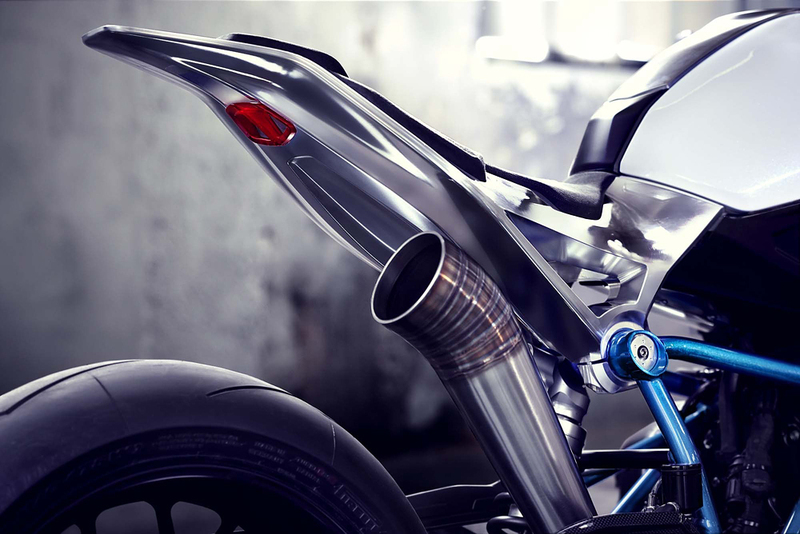 Surrounding the engine is a sparkling blue tubular space frame, featuring a sculptured fuel tank that flows into a single-piece aluminum rear. 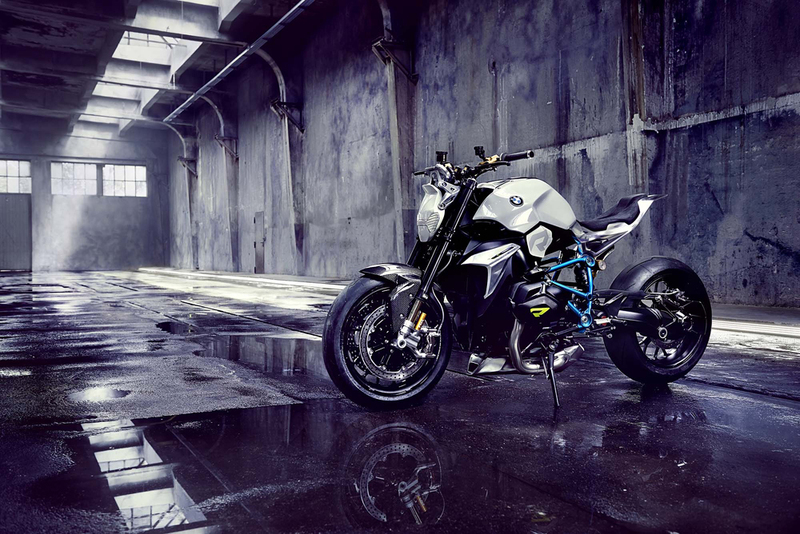 Additional details include a seat wrapped in perforated Alcantara, precision milled aluminum parts and an aerodynamic engine spoiler. 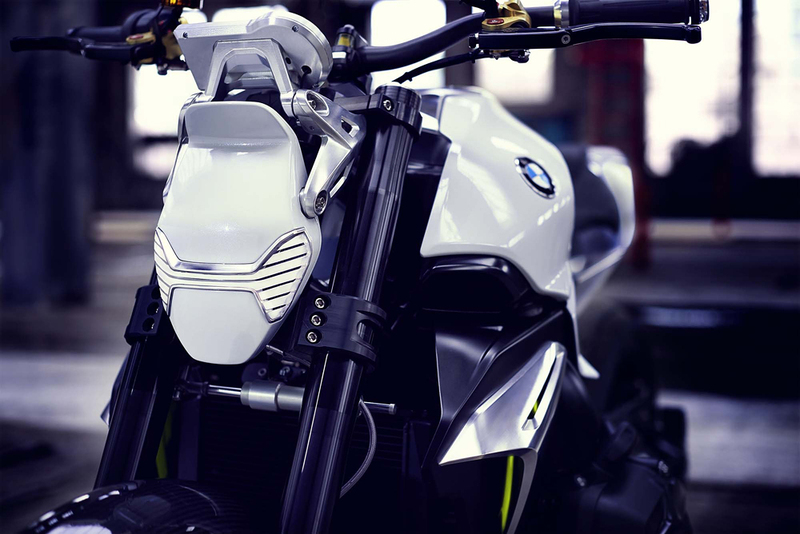 Aluminum air intakes flanking black radiators, as well as an LED headlamp array, complete the striking good looks.